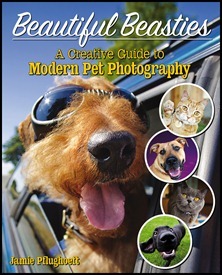 A little bit on the history of pet photography. The difficulty of using animals and models. Photography basics- Shutter speed, focusing white balance, lighting and composition. Going pro and making a living photographing pets. The book is so comprehensive and easy to read. Even someone who is experienced will learn something new from the book. The photos are fantastic and help to explain the topics that are being discussed in each chapter. Taking a great picture of your pet takes patience, and an understanding of light and how to use it. Would you like to win a copy of the book? So you can learn to take some great pictures of your own. Contest Ends on 11/1/12 @ 11pm EST and winner will be notified by email and will have 48 hours to respond or a new winner will be picked. USA/CAN only. Disclaimer: I received a free copy of the book for my honest opinion and I was not compensated for my review. Getting him to face the camera. Keeping him in focus is also a challenge.